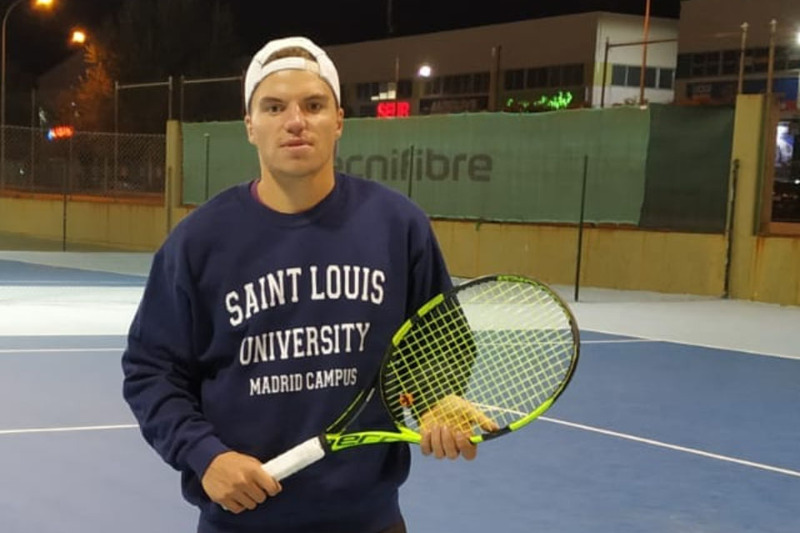 Check out the latest headlines from Saint Louis University – Madrid, including faculty honors to student achievements to major campus events. 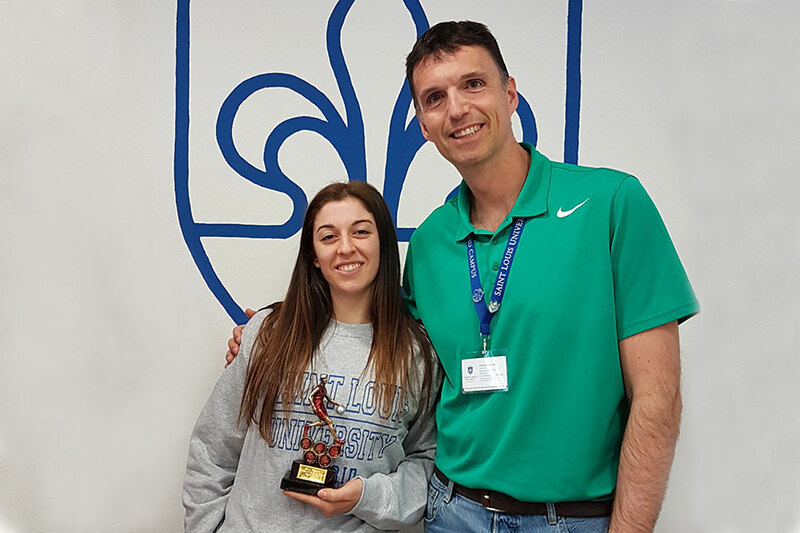 04/22- Clara Sánchez Circián is named as the SLU-Madrid Athlete of the Month in recognition of her high-level basketball game, exemplary sportsmanship and dedication to her training. 04/12- Distinguished speakers reflected on their past experiences and evoked ideas of progress and hope at SLU-Madrid's third annual TEDx event, "Transcending the Everyday Life State." 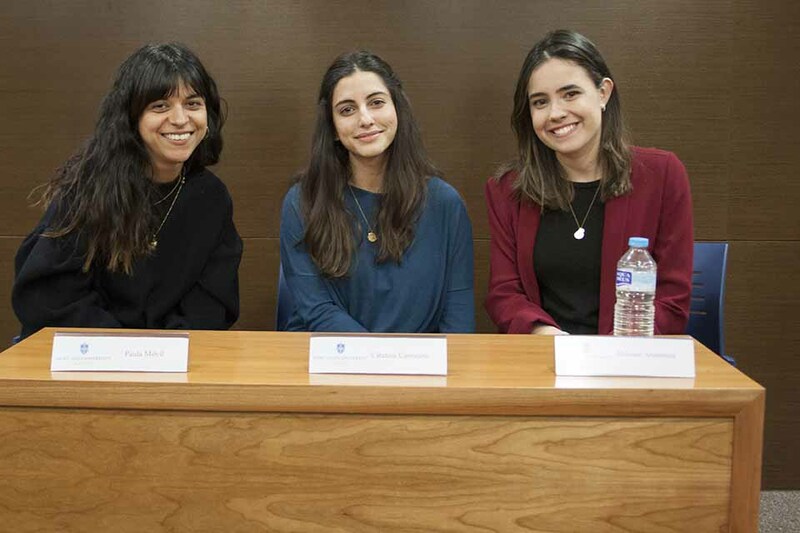 04/11- As part of the 9th annual Atlas Week, SLU-Madrid organized panel discussions, debates, poster displays, guest lectures and workshops addressing the theme, "Migrants and Migration: the people behind the numbers." 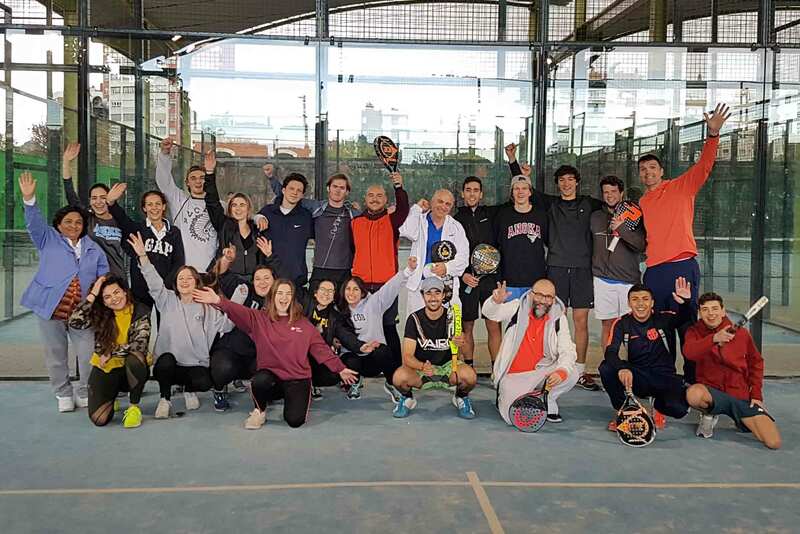 04/09- Students, staff and faculty came together for SLU-Madrid's first Paddle Tennis Tournament Fundraiser, raising over 200 euros to support Casa Ronald McDonald, an NGO that assists with the housing needs of families with children who are hospitalized. 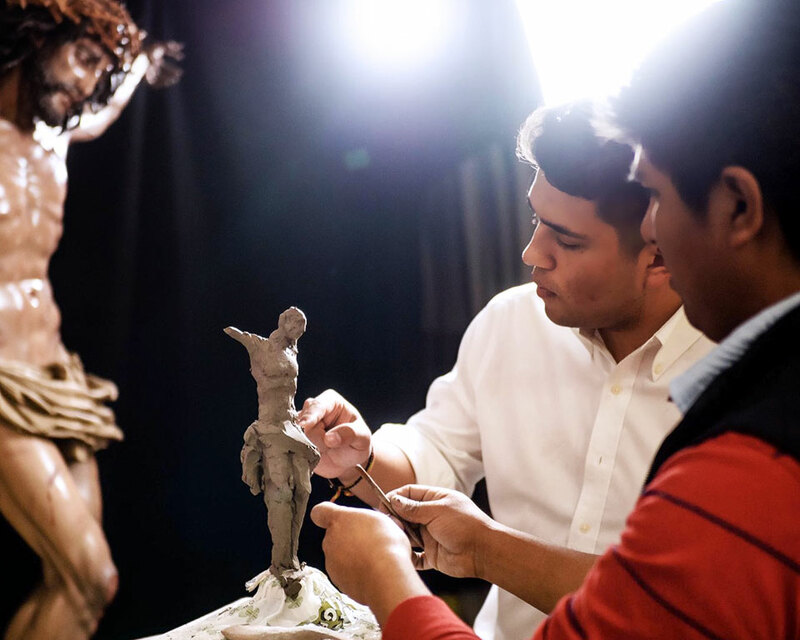 04/03- SLU-Madrid art history and international business student Nick Di Napoli discovers a niche in Madrid's art world as a researcher and independent art consultant. 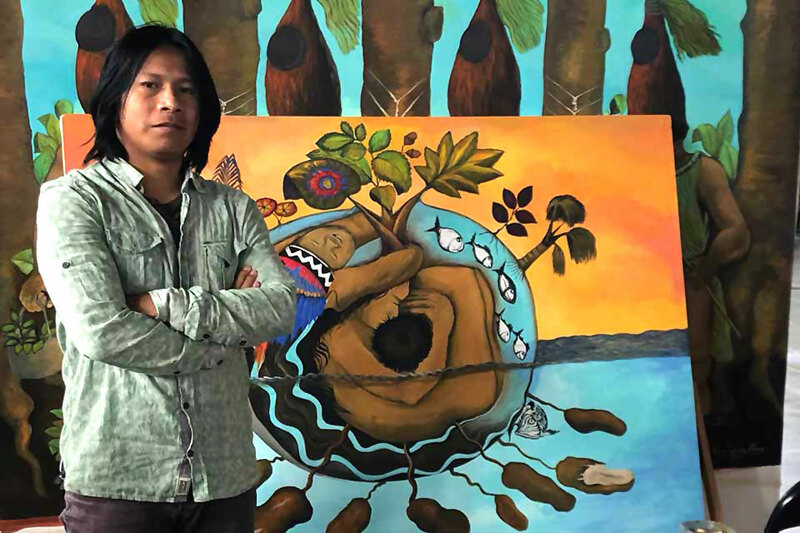 04/01- Professor Carlos Segovia, Ph.D. (Humanities and Social Sciences) interviewed contemporary Peruvian artist Brus Rubio, whose works are currently on display in the exhibition "Amazonías" at the Matadero Madrid. 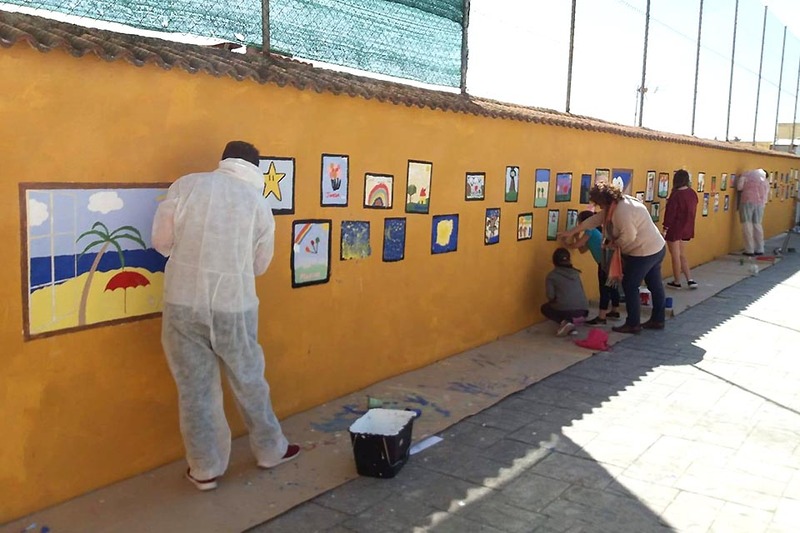 03/27- Ten SLU-Madrid volunteers travelled to the village of Puertollano (Ciudad Real) for a weekend dedicated to granting a wish to the local children: to fill their school with colors by painting murals on the walls of the courtyard where they have recess. 03/26- Graduate and undergraduate students presented their original research at the Spanish Department's ninth annual Spanish Symposium. 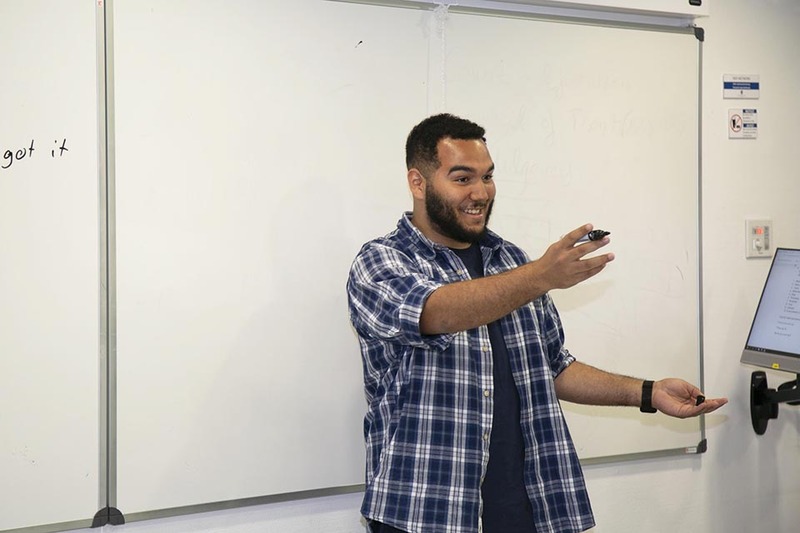 03/19- Fifty-one student volunteers are offering free English language classes to more than 300 locals as part of this semester's Community ESL program. 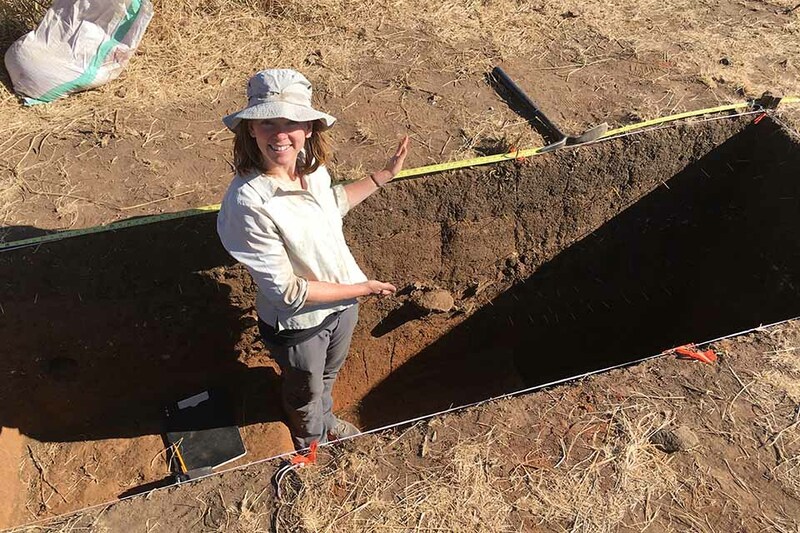 03/14- Mary Prendergast, Ph.D., directs excavations at the site of Luxmanda, Tanzania, where one of the first ancient African human genomes was sequenced. 03/08- Recent SLU-Madrid graduates returned to campus to advise current students on how to launch their professional careers at the 10th annual Expert Alumni Roundtable. 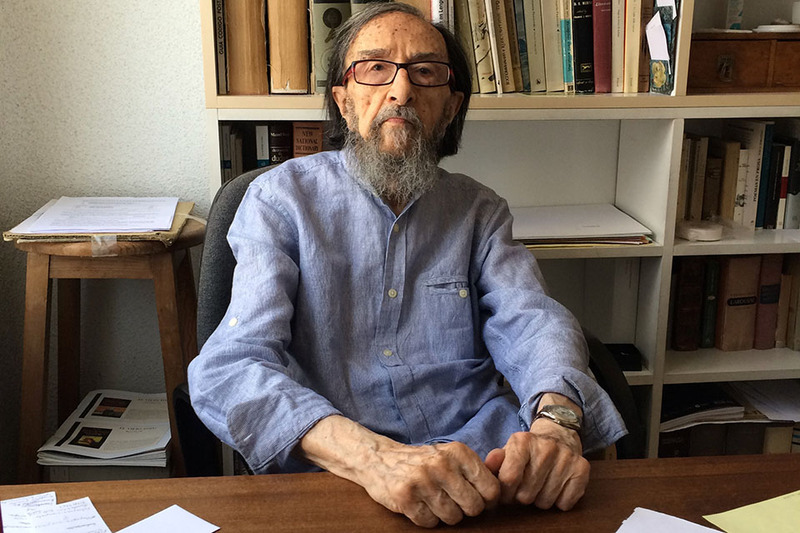 An Interview with Japanese Anthropologist, Naoki Kasuga: "There is a shared intuitive component in the mathematician's and the sorcerer's ways of reasoning." 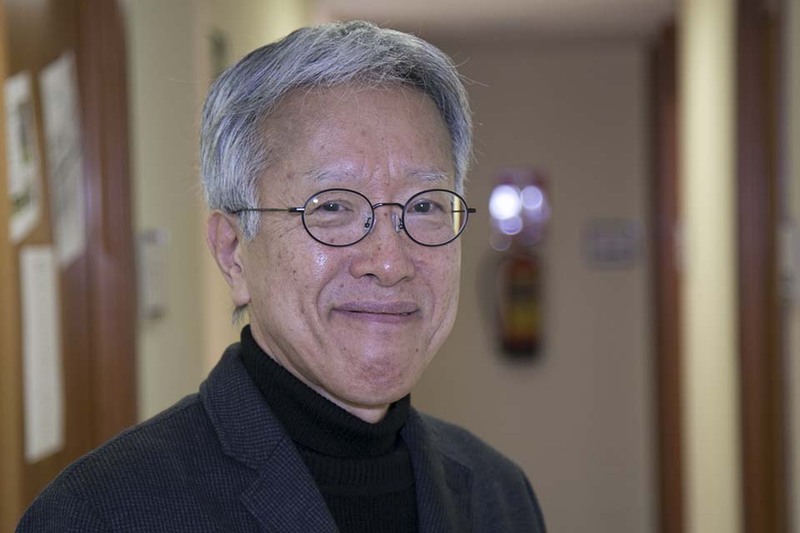 03/05- SLU-Madrid professor Carlos Segovia, Ph.D. (Humanities) interviews renowned Japanese anthropologist, Naoki Kasuga during his recent visit to SLU-Madrid. 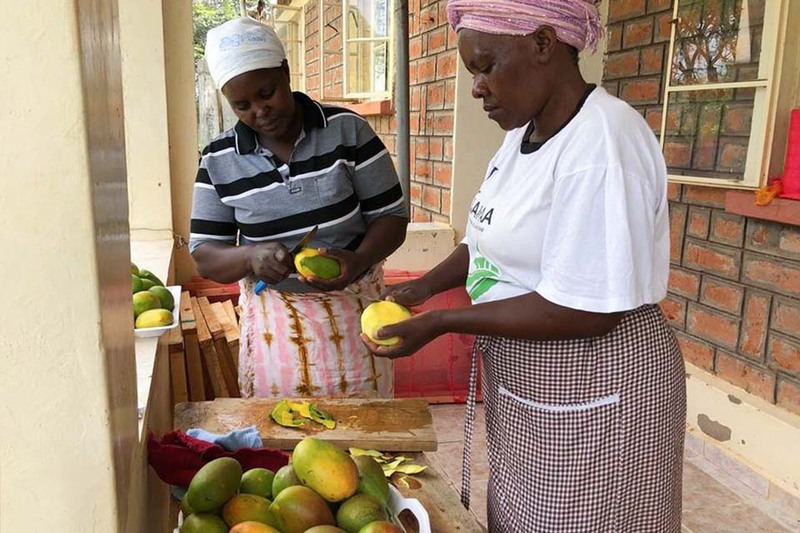 02/27- SLU-Madrid senior Sierra Zima collaborates with Blue Mangoes, a student-led NGO that builds solar-powered dehydrators in rural farming communities to allow fruit to be preserved, shipped and sold in the United States. 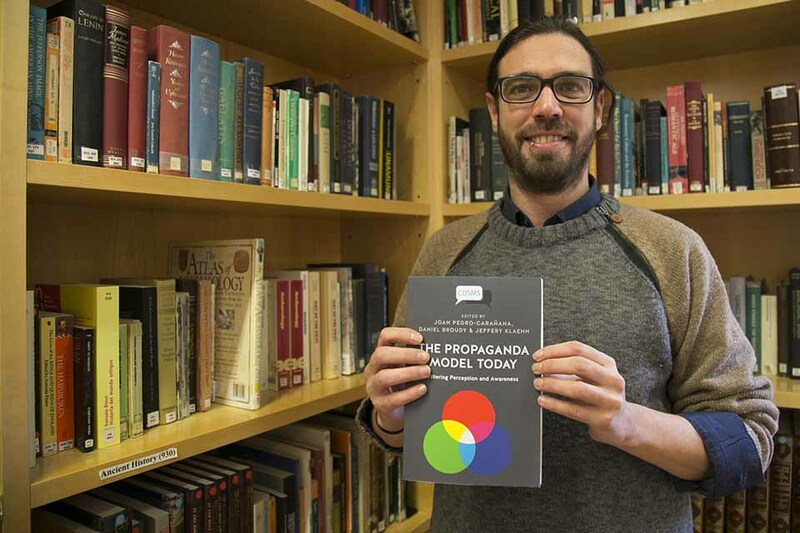 02/25- Dr. Joan Pedro-Carañana (Communication) edits a book analyzing new developments in media systems to demonstrate the validity of the propaganda model across various geographical contexts. 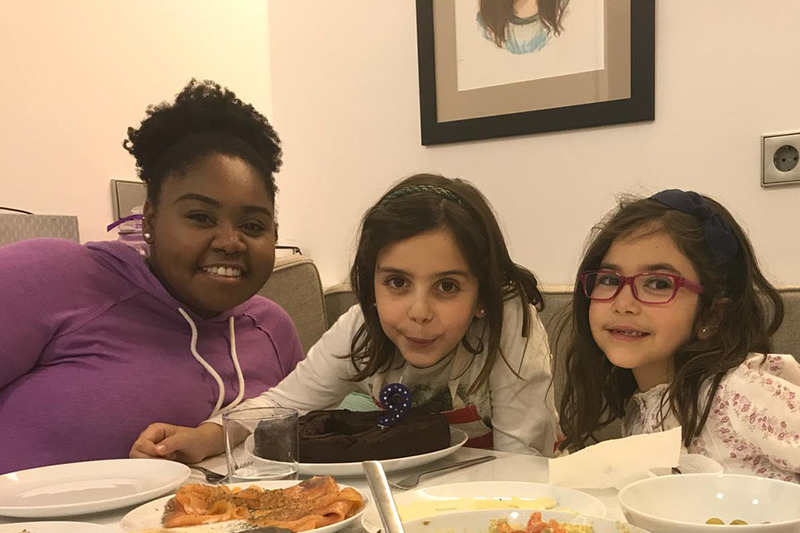 02/20- As a volunteer for T-oigo's Allies in English program, senior Janee Mahan teaches English to Irene, a seven-year-old girl who has a hearing impairment. 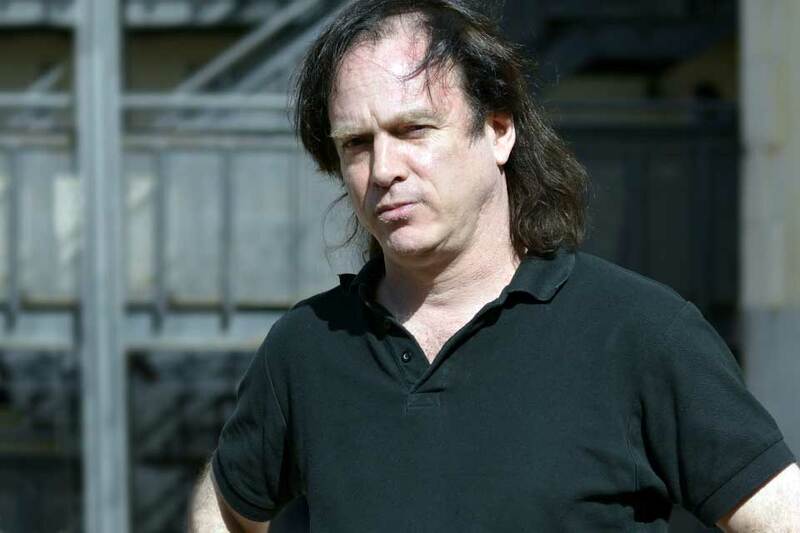 02/19- Dr. Carlos Segovia (Humanities and Social Science) lectured to doctoral students at the University of Seville on the intersection of contemporary philosophy and indigenous cosmologies against the background of today's ecological-political crisis. 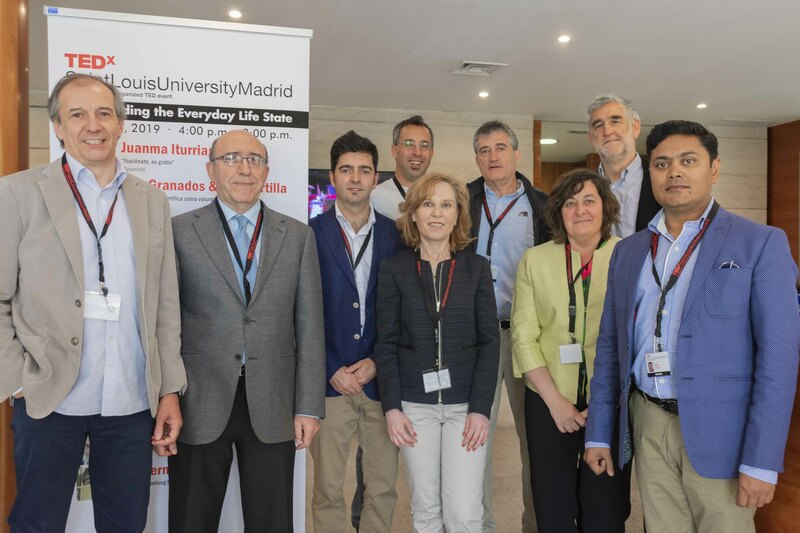 02/15- Starting in September 2019, SLU-Madrid will offer the M.A. 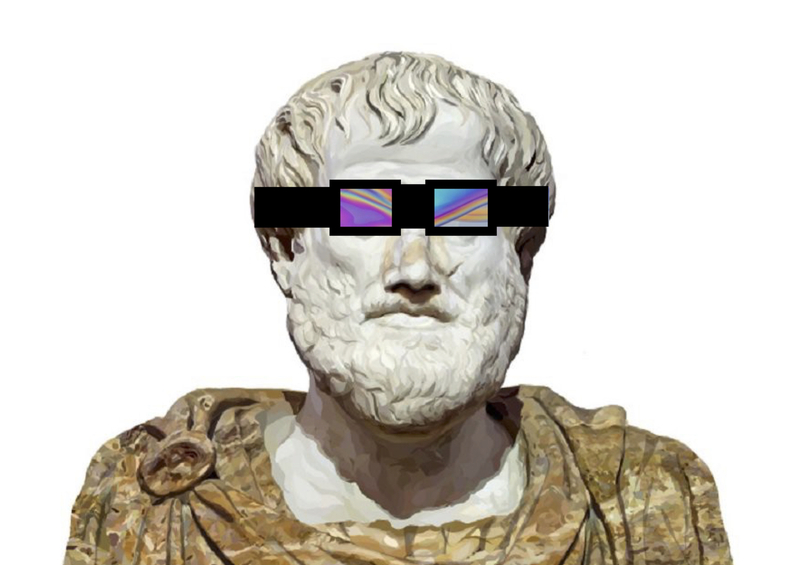 in Political Science and Public Affairs with a new concentration: International Relations and Crisis. 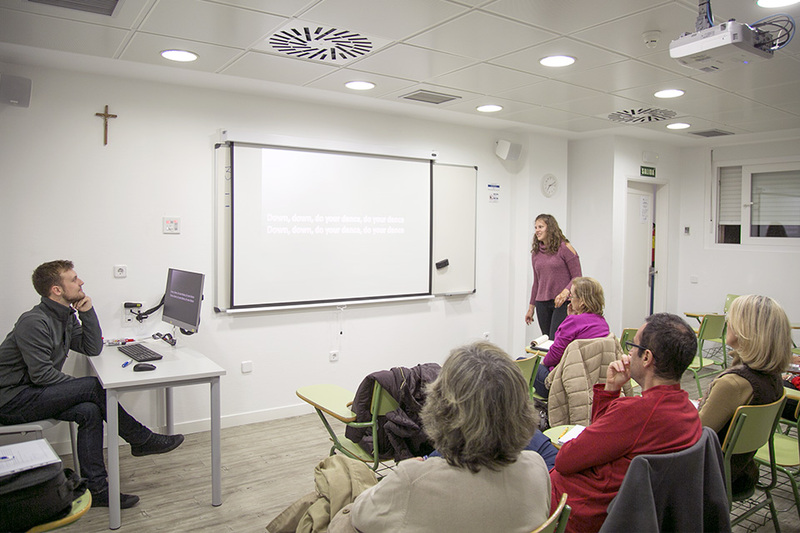 02/14- As part of the United Nations International Day of Women and Girls in Science, SLU-Madrid held a week-long series of talks and workshops related to the role of women in science. 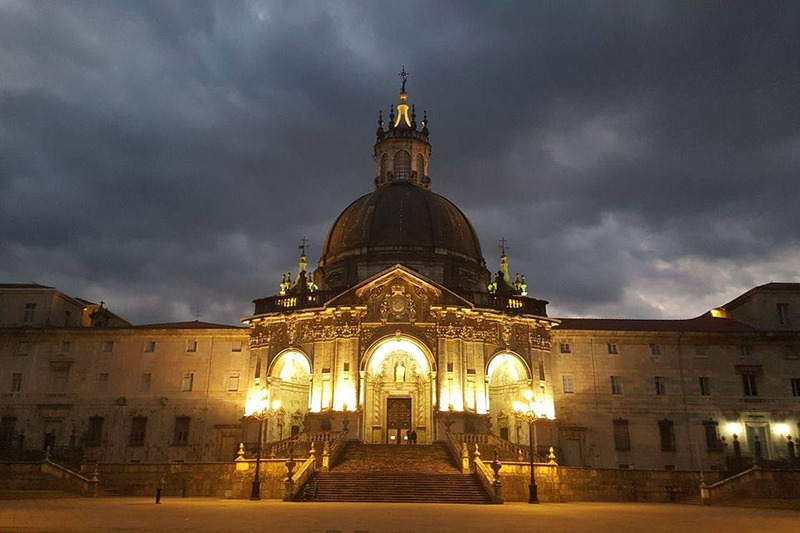 02/12- Twenty-five students embarked on this semester's Loyola Pilgrimage Retreat which traces the life of St. Ignatius across northern Spain. 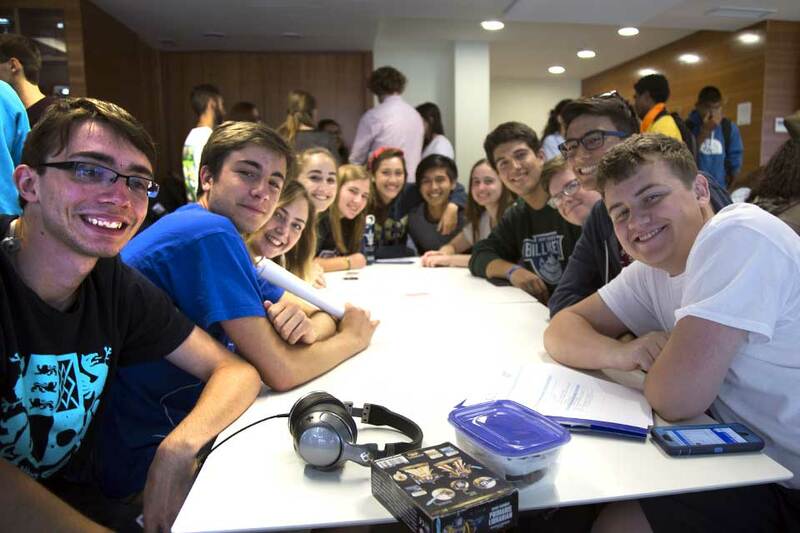 02/12- SLU-Madrid has increased the number of courses offered this summer to over 60 - along with internships, volunteer activities, programs for graduate students, and even a science camp for high school students. 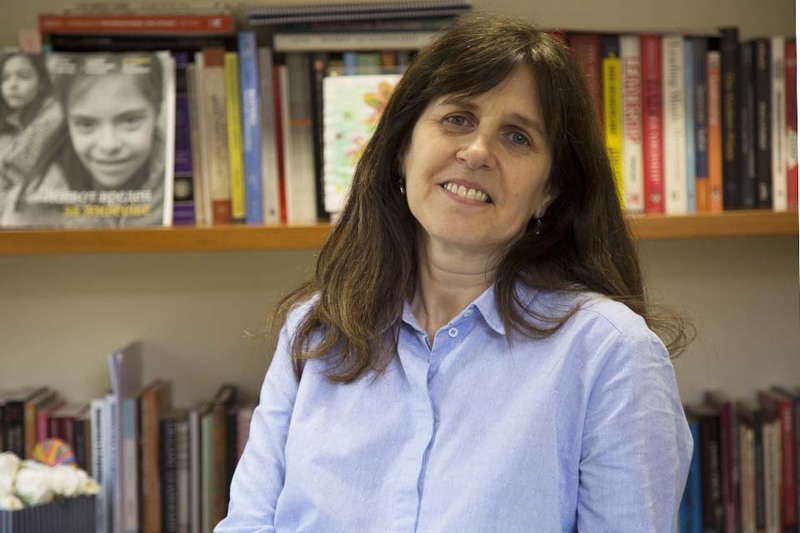 02/04- In light of recent events in Venezuela, Dr. Tedesco (political science professor and associate dean for humanities and social sciences) has shared her expertise on contemporary politics, democracy and political leadership in Latin America in several recent publications. 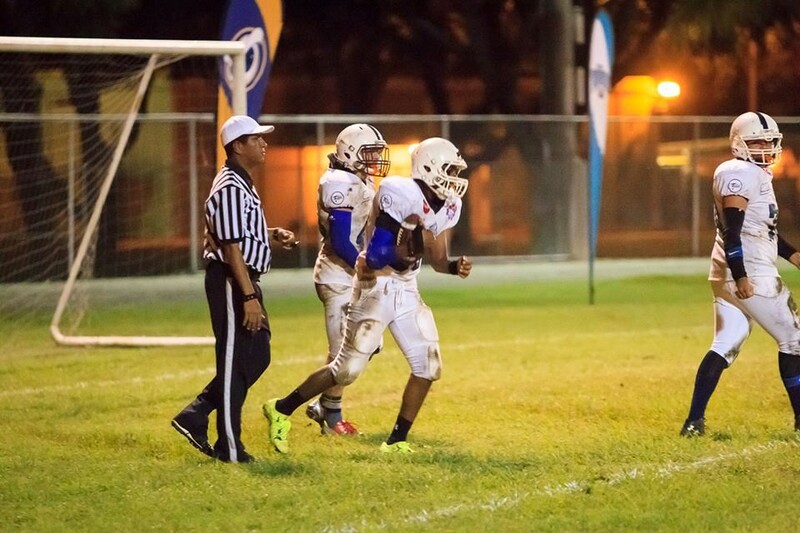 02/04- Jorge Serrano receives the Athlete of the Month Award in recognition of his achievements both in the classroom and on the tennis court. 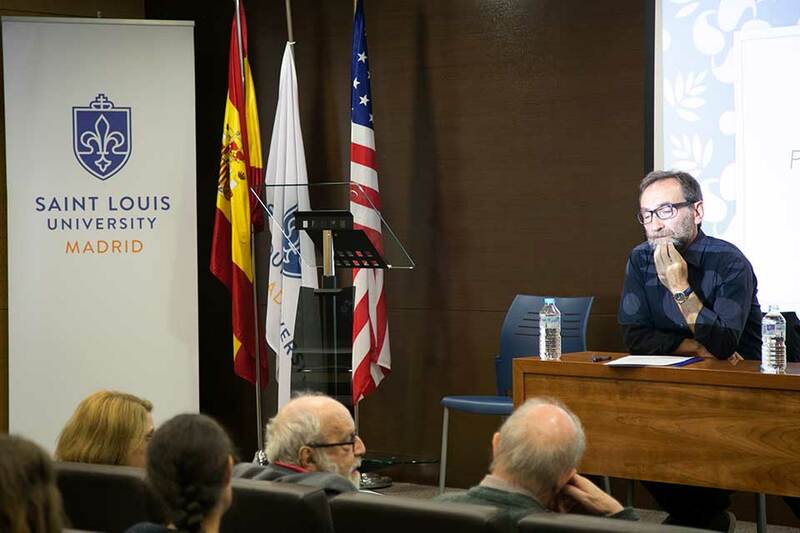 01/28- SLU-Madrid students joined renowned writers and scholars for "El siglo de Zúñiga," a conference on the life and works of Juan Eduardo Zúñiga on the occasion of his 100 birthday. 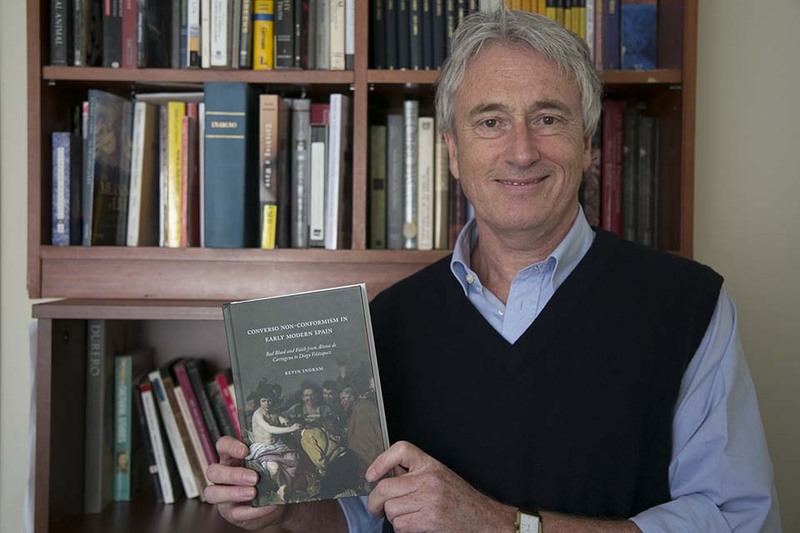 01/22- Kevin Ingram, Ph.D. (History) argues that that Spain's early modern reform movements were driven by conversos in his recently published book. 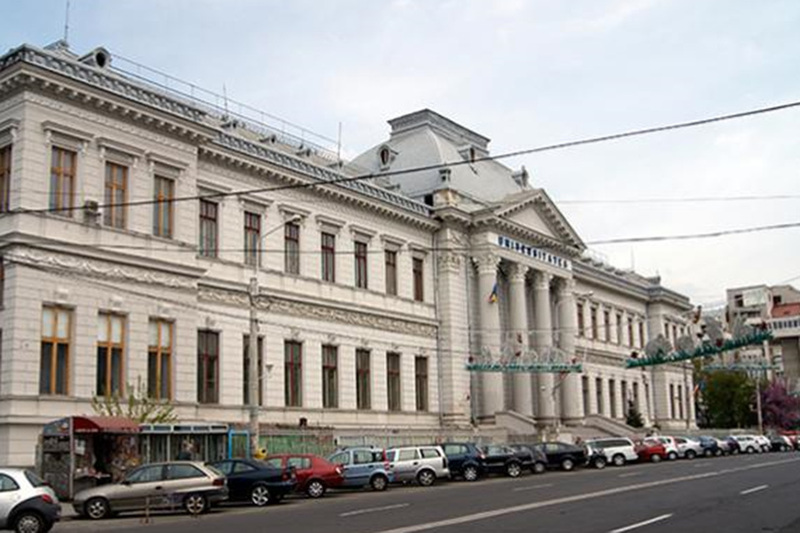 01/15- Brian M. Goss, Ph.D. (Department of Communication, program director) delivered the plenary lecture at the annual "Comparativism, Identity and Communication" conference in Craiova, Romania. 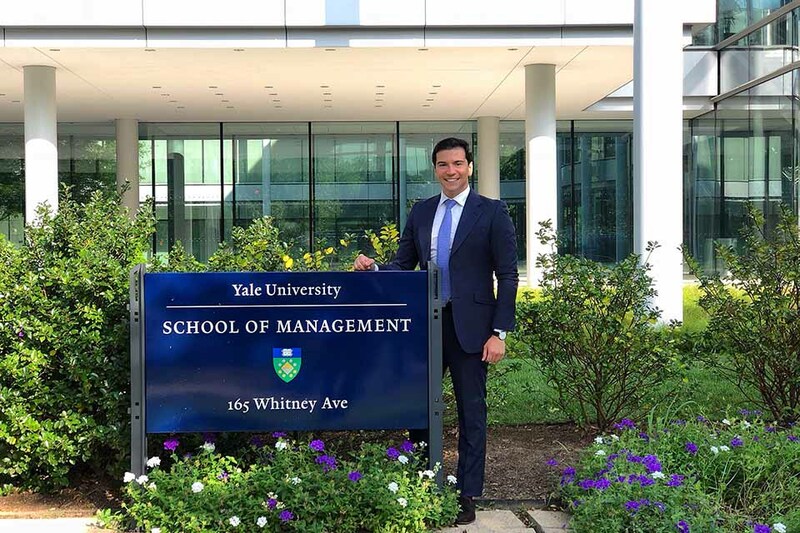 01/10- After serving in the Ministry of Foreign Affairs and the NGO sector in Panama, SLU-Madrid graduate Mendez Chiari is continuing his education at Yale University. 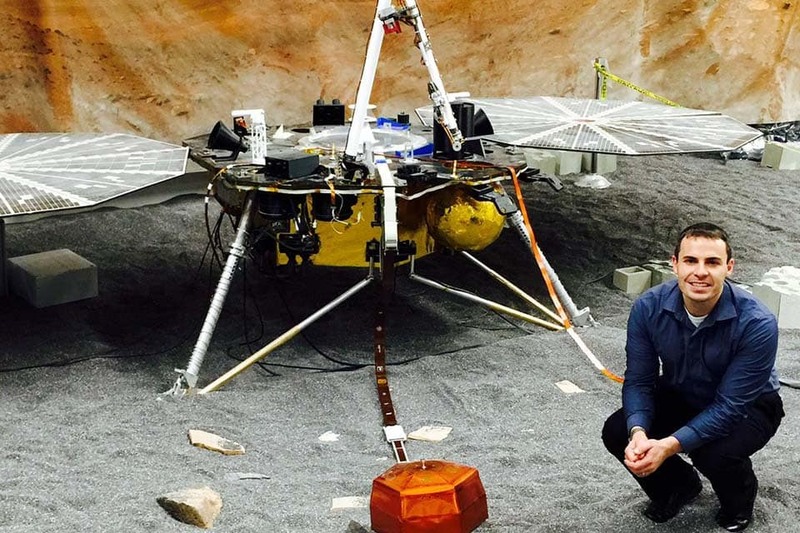 Upon graduation, he aspires to work as a communication and strategy consultant. 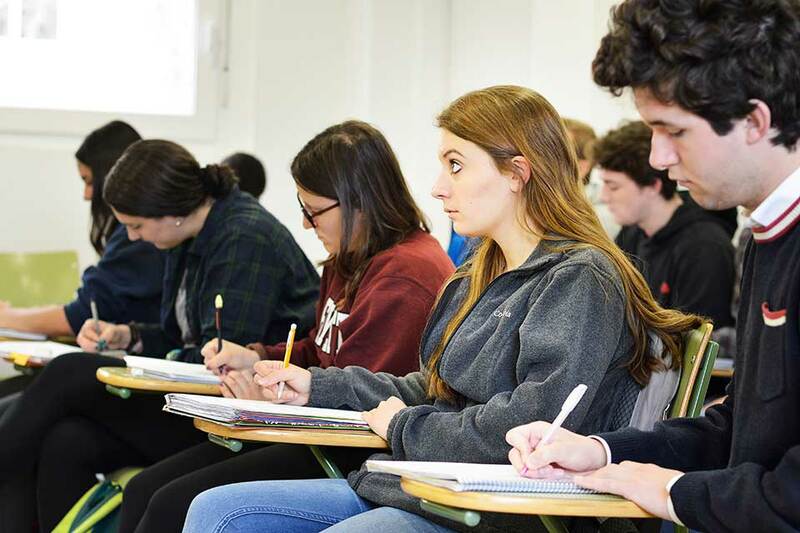 01/09- SLU-Madrid buzzes with activity as classes, activities and trips start off for the Spring 2019 semester. 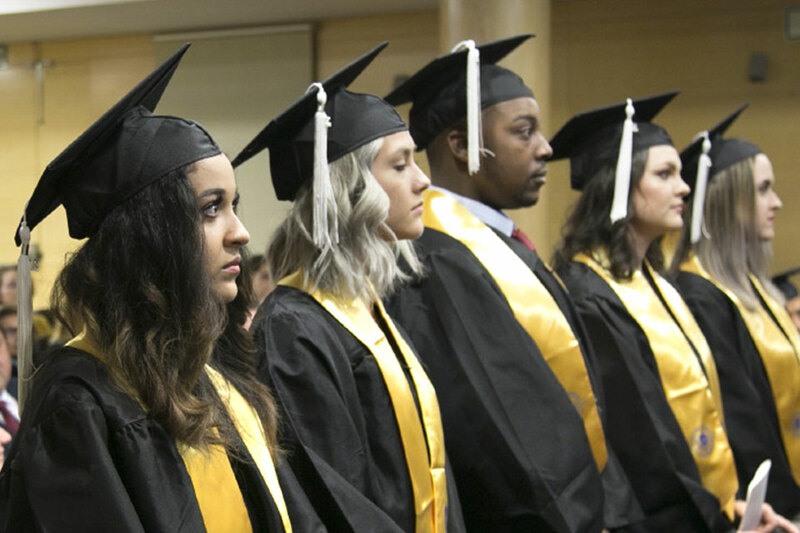 12/20- SLU-Madrid conferred degrees to 15 students from four countries and six U.S. states at this year's Midyear Commencement ceremony. 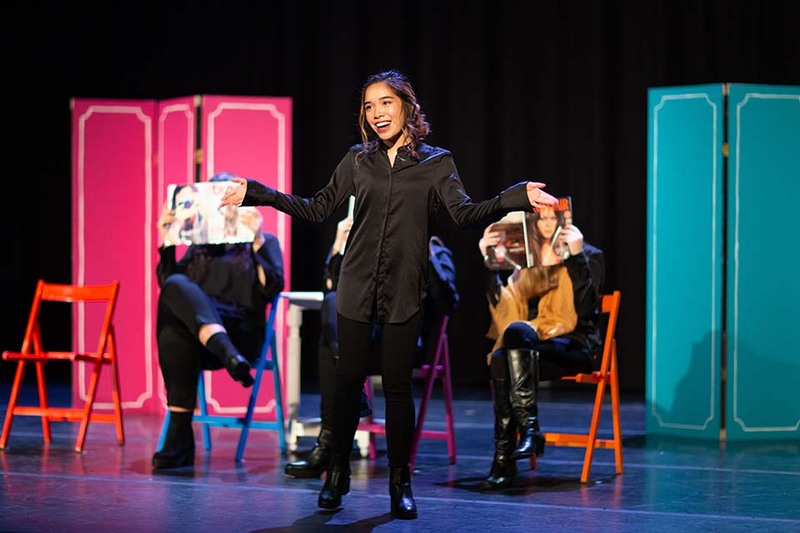 12/18- Theatre, dance and music students showcased their hard work and talent in a series of end-of-semester performances. 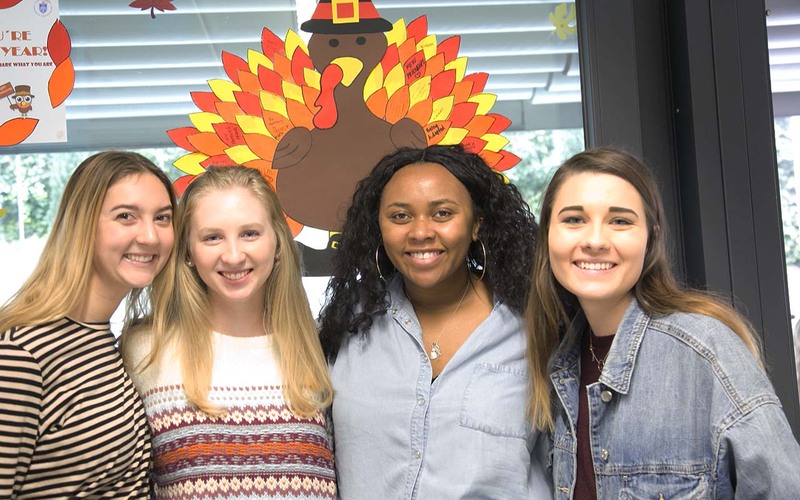 12/13- Psychology capstone students culminated a semester of research by presenting the results of their investigation into human emotions from four different angles: music, colors, emotional intelligence and social media. 12/10- Daniel Mateo Kitcher receives the Athlete of the Month award in recognition of his accomplishments with the Rivas Osos American football team and his academic achievements. 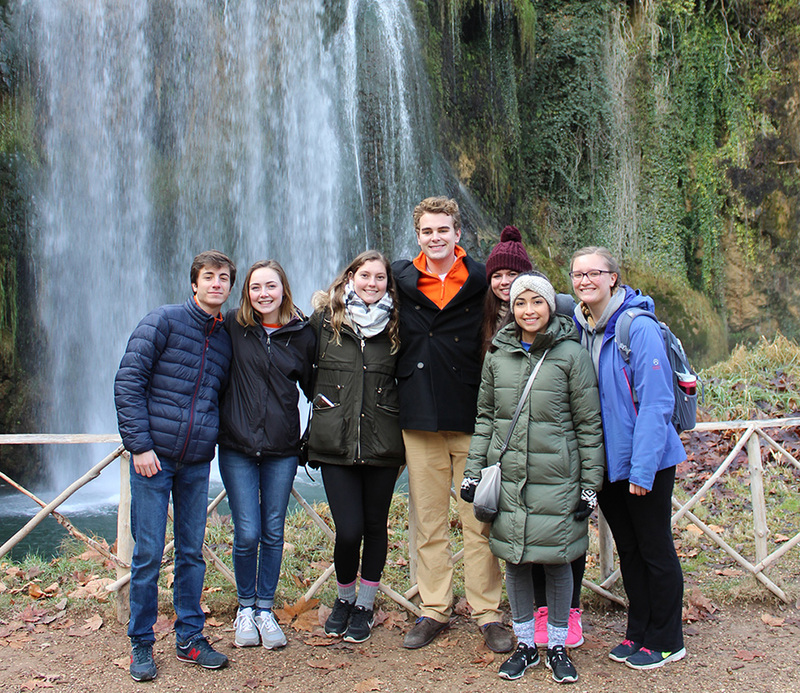 12/05- A year and a half after graduating from SLU-Madrid, Class of 2017 graduates are working, volunteering and studying in 22 different countries. 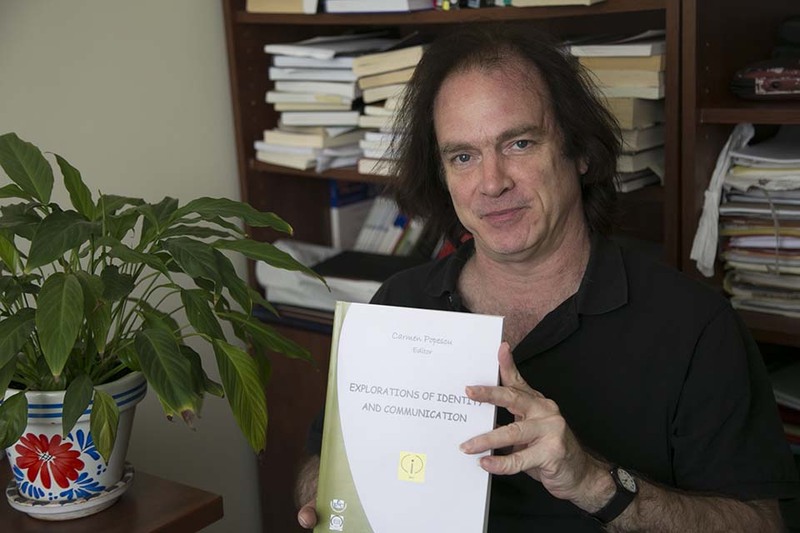 12/03- Brian M. Goss, Ph.D. analyzes the discourse on former U.S. President James Earl "Jimmy" Carter in news magazines in a recently published book chapter. 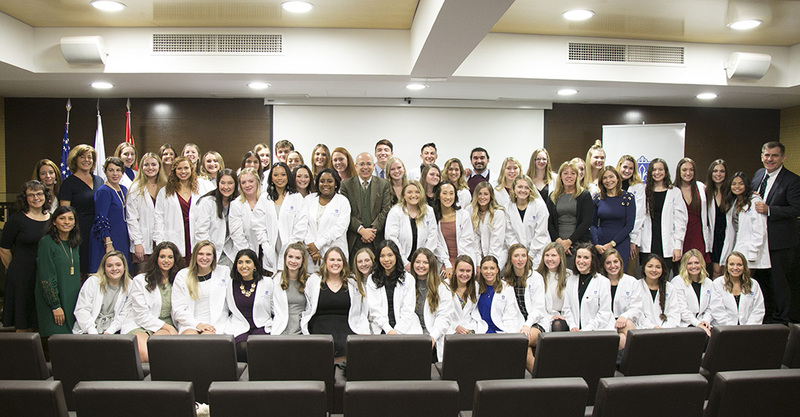 11/30- Nursing students celebrated their transition from the classroom to clinical practice at the fifth annual "White Coat Ceremony." 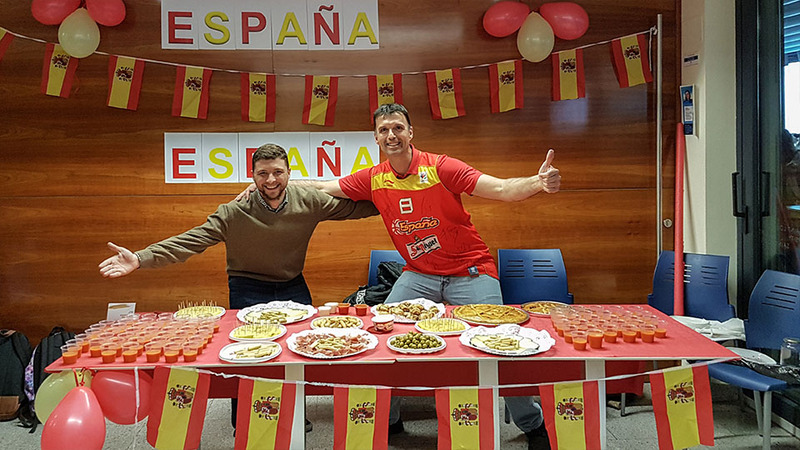 11/23- Students from around the world gather to celebrate Thanksgiving at SLU-Madrid, with a traditional turkey meal in the campus cafeteria. 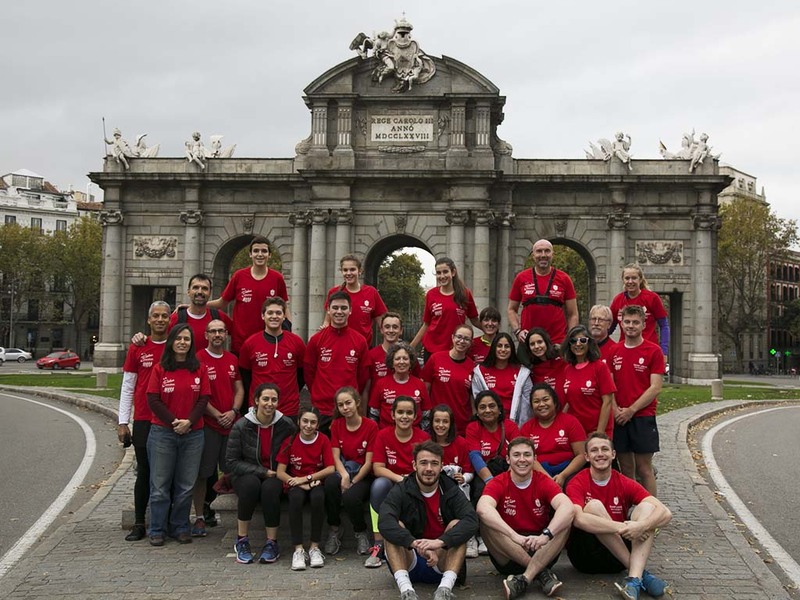 11/20- Faculty, staff and students came together to get some exercise, enjoy the company and raise funds to support education for girls at the semiannual SLU-Madrid run for a cause. 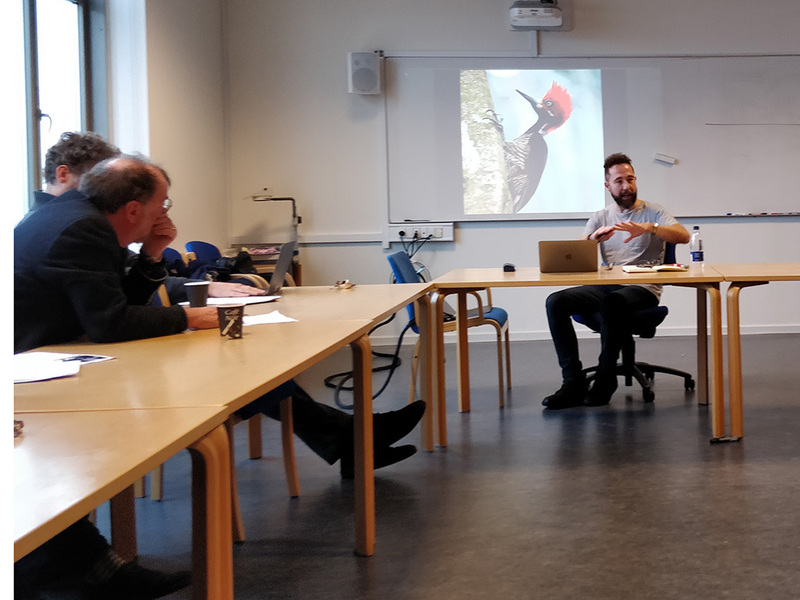 11/19- Aarhus University in Denmark has invited Professor Carlos Segovia, Ph.D. (Humanities) to teach a seminar on religion and cross-cultural violence. 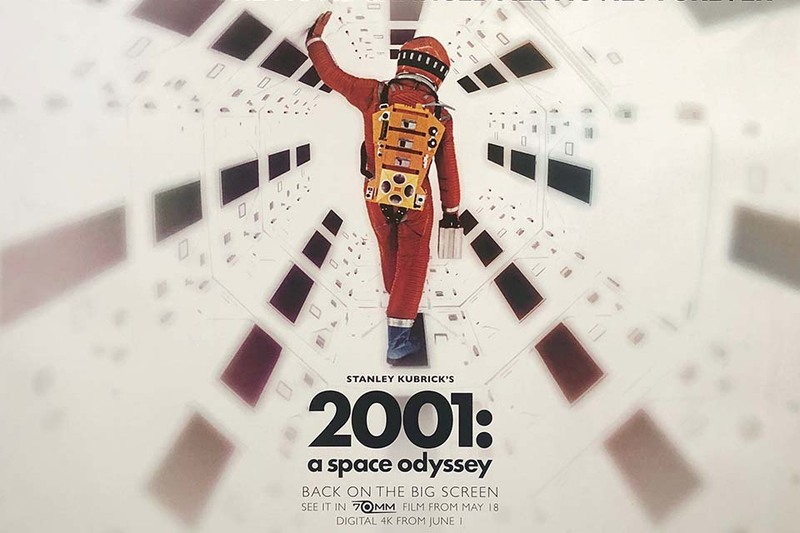 11/15- SLU-Madrid professors from four departments collaborated in a cross-disciplinary panel to analyze Stanley Kubrick's film, 2001: A Space Odyssey. 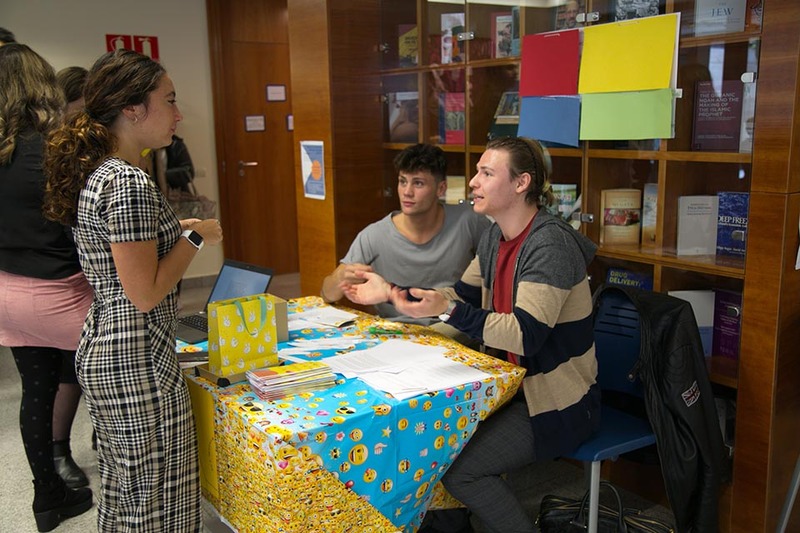 11/13- Student volunteers in SLU-Madrid's Community ESL program are offering free English conversation classes to over 500 locals this semester. 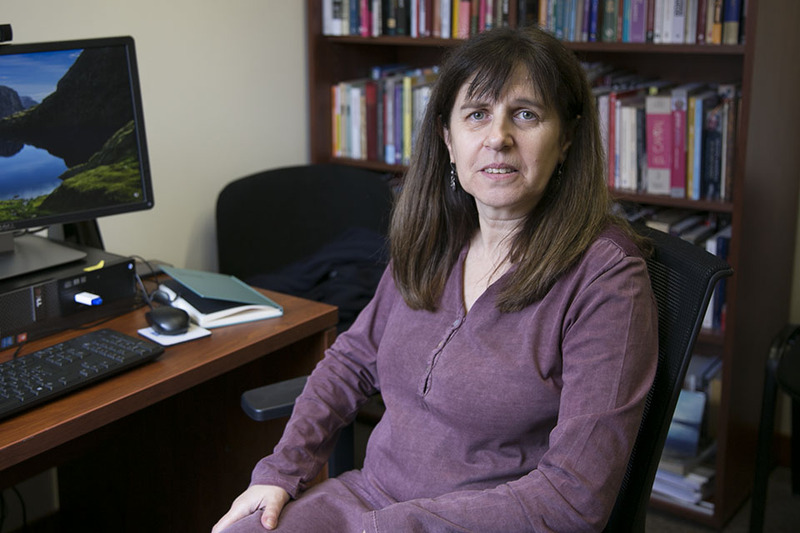 11/06- Laura Tedesco, Ph.D. analyzes the proposed constitutional reforms in Cuba in Open Democracy, the world's most widely circulated digital media platform for the exchange of political ideas and analyses. 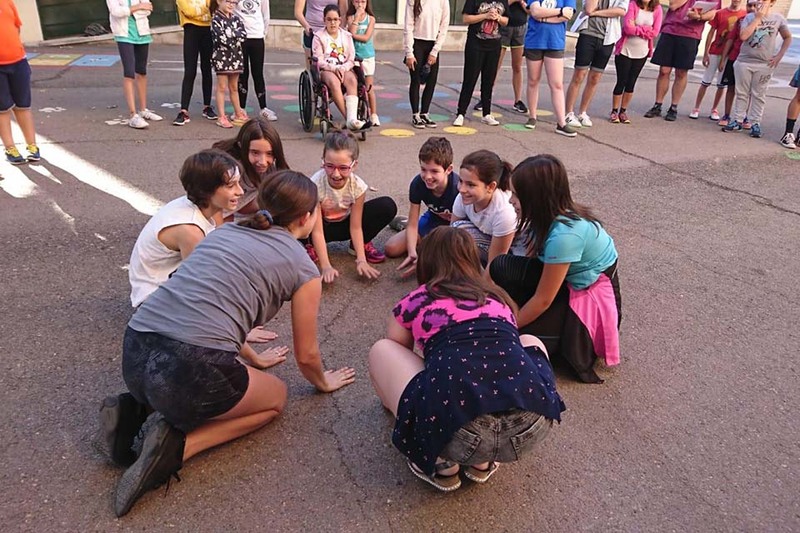 10/30- Ten SLU-Madrid volunteers travelled to Puertollano (Ciudad Real) to lead English teaching activities for the children who attend the village's public school. 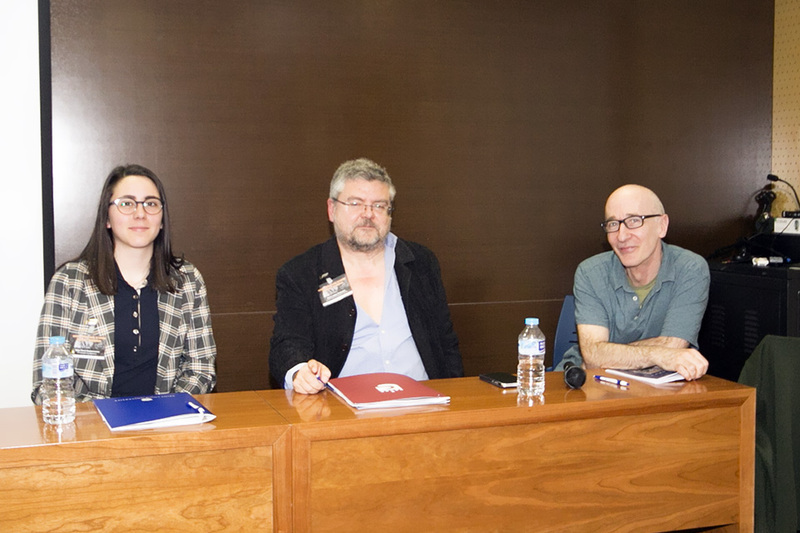 10/25- SLU-Madrid students joined renowned scholars and writers at the Spanish literature conference, "En busca de lectores cómplices: Homenaje a Antonio Pereira." 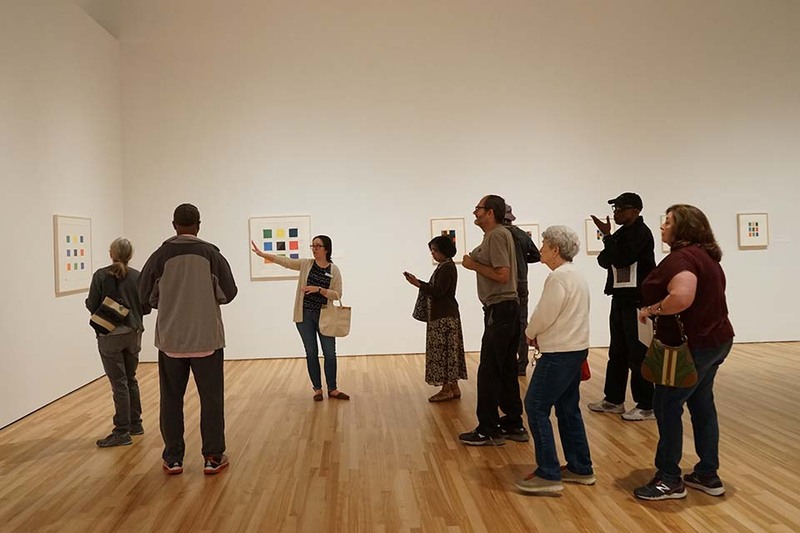 10/22- As education coordinator for the Society for the Performing Arts in Houston, Claire Williamson ('15) manages classroom workshops, professional development, master classes and volunteer programs. 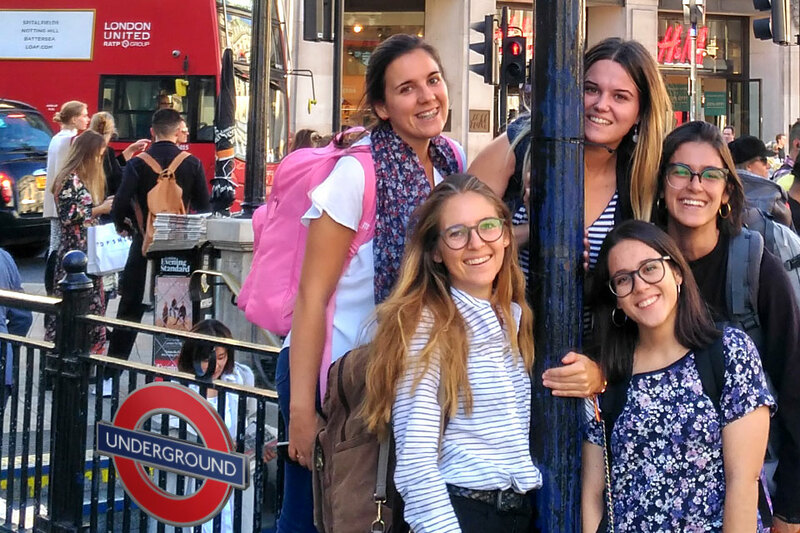 10/16- Students met with leading professionals in international and sustainability marketing at this year's launch of the annual joint project with students at Fordham University's London Campus. 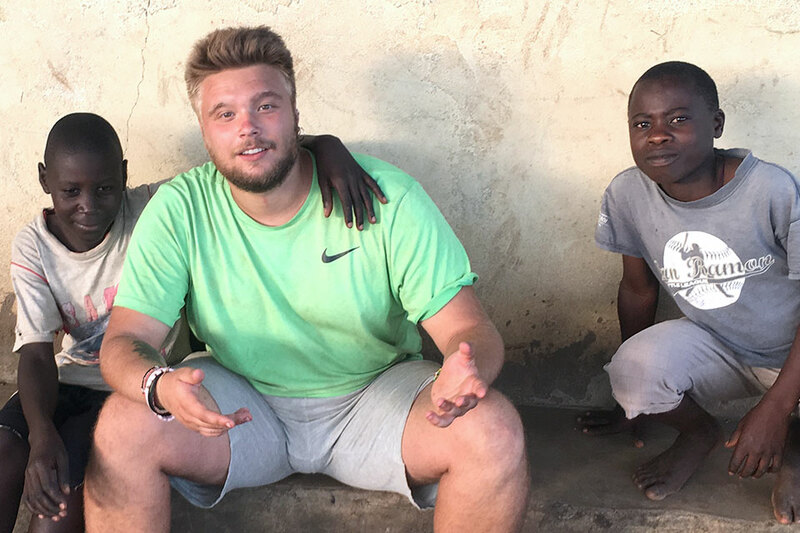 10/08- Manuel Rodríguez Alonso is currently living in a rural village in Kenya, where he volunteers at a center which provides services to vulnerable children. 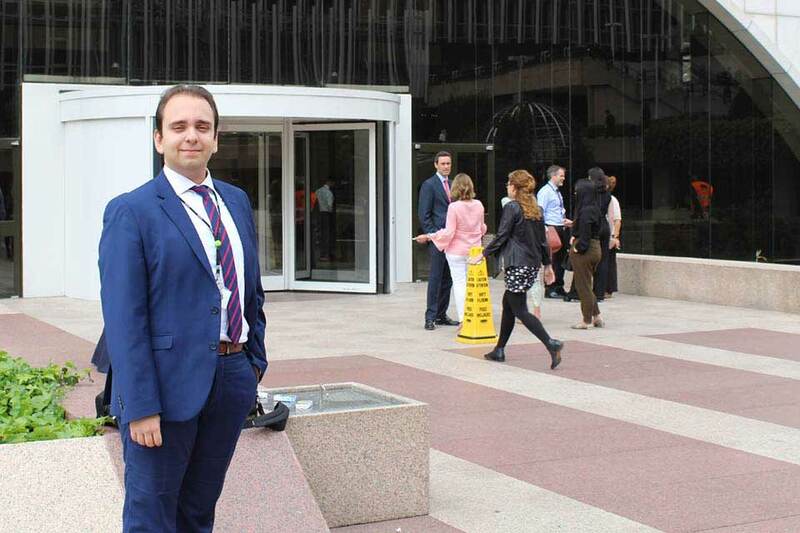 10/01- Brian Goss, Ph.D. travels to London to present research on new sub-types of political harassment. 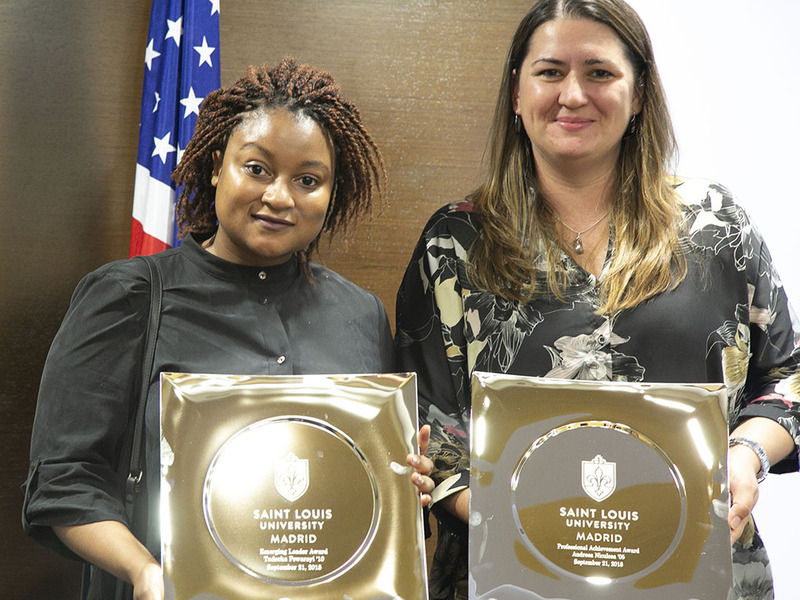 09/25- The SLU-Madrid Alumni Association honored Tadzoka Pswarayi '10 and Andreea Niculea '05 at the fourth annual Distinguished Alumni Awards Ceremony. 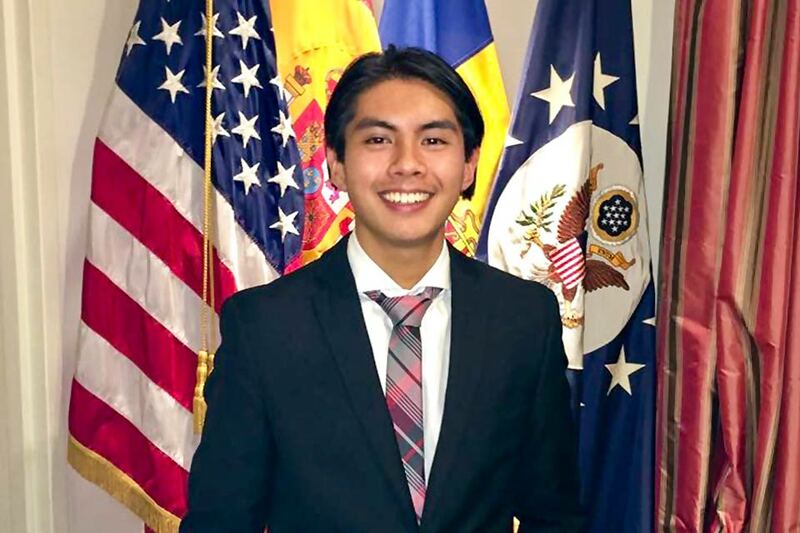 09/19- As an intern in the commercial division of the U.S. Embassy, Nik Legaspi not only employs skills from his international business major but also receives guidance on career development from mentors. 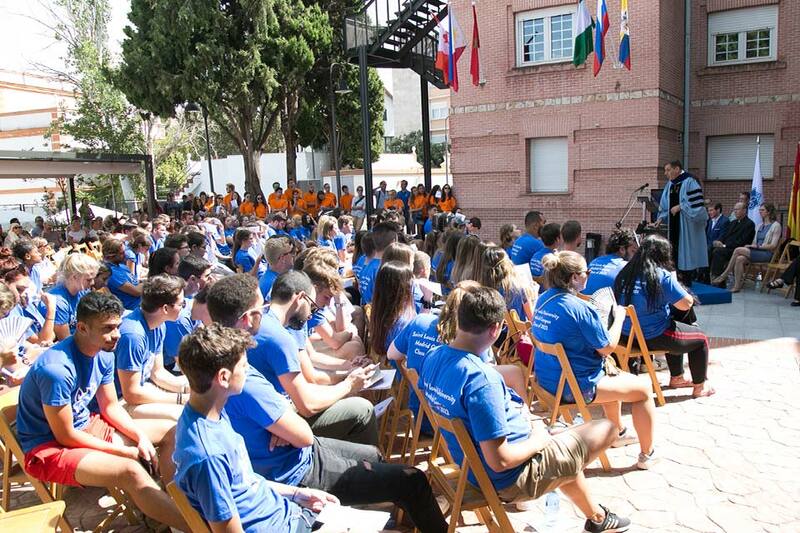 09/05- SLU-Madrid extended an official welcome to the 158 newest members of its academic community at the annual Convocation and Family Welcome. 08/22- The fall semester kicks off with an exciting program of orientation events, trips and activities. 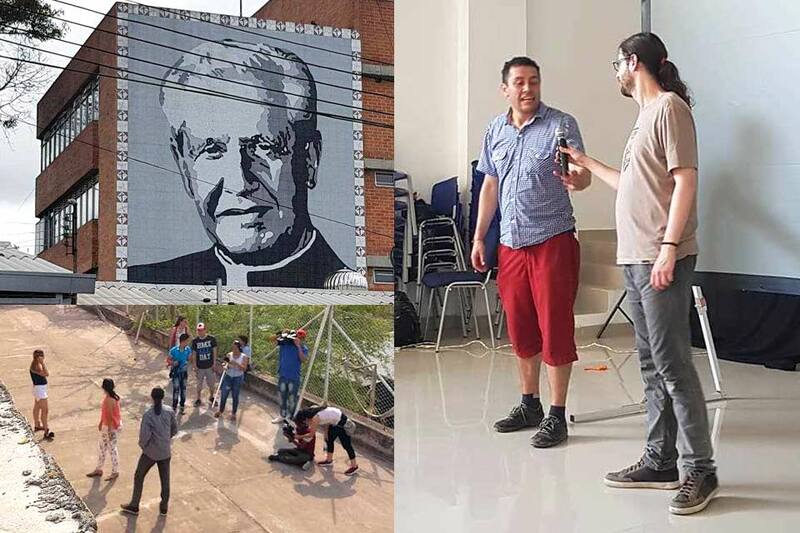 08/20- Dr. Joan Pedro-Carañana travelled to Bogotá, Colombia to teach and conduct research on the role of communication in promoting social change and peace. 08/08- With the addition of the B.A. 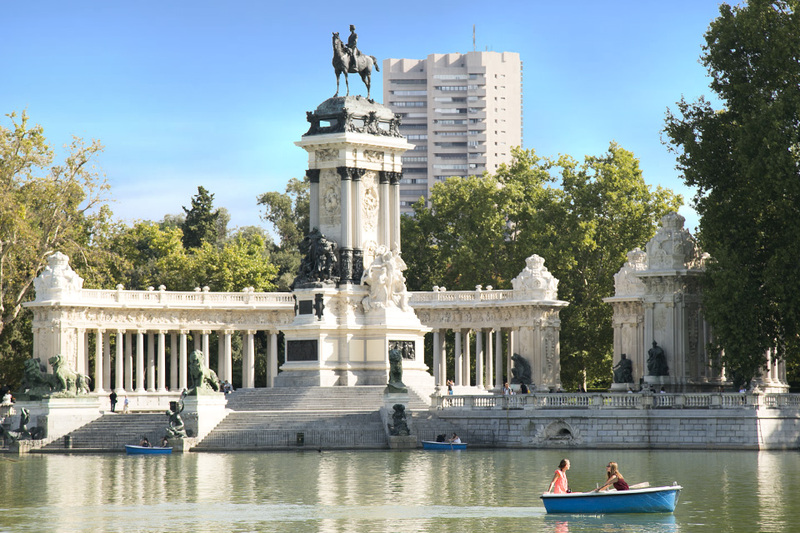 in Philosophy, the Madrid Campus now offers to 14 bachelor degrees. 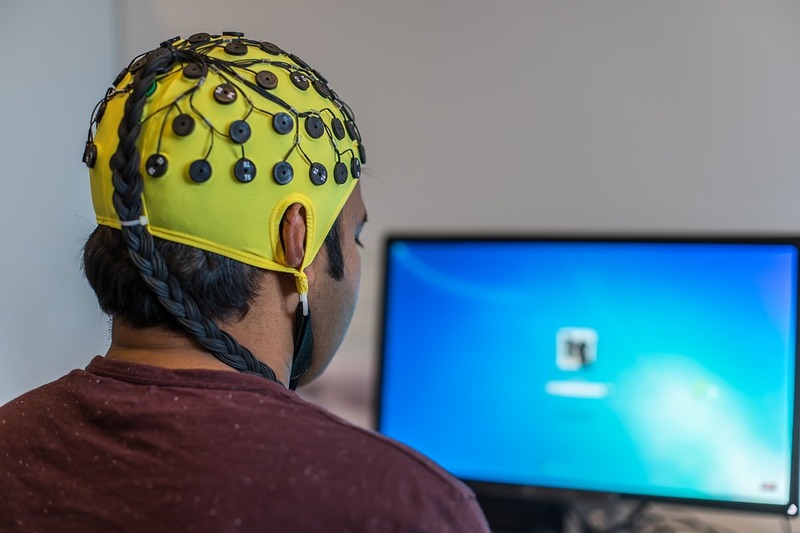 07/26- Communication program director Brian M. Goss, Ph.D. returns to his roots as a psychology researcher by contributing to a publication on electroencephalograms (EEG) and cognition. 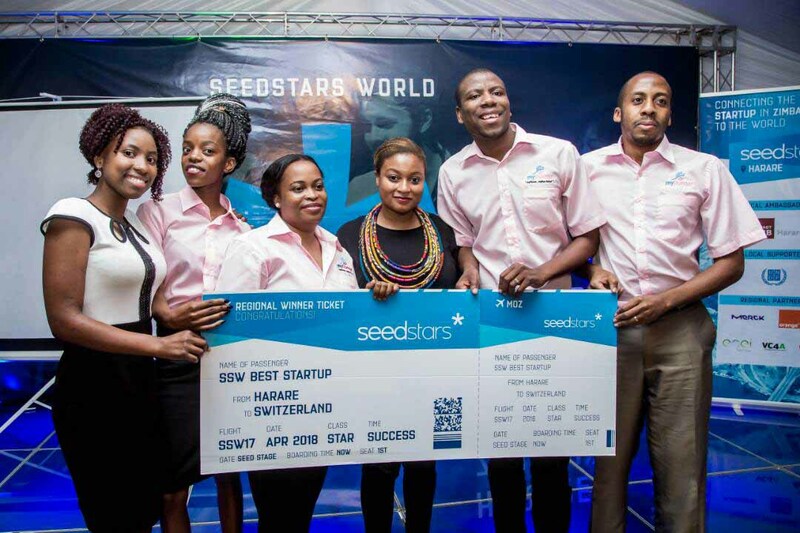 07/19- Tadzoka Pswarayi '10 currently lives in Harare, Zimbabwe where she endeavors to help women and children through her work as a social entrepreneur. 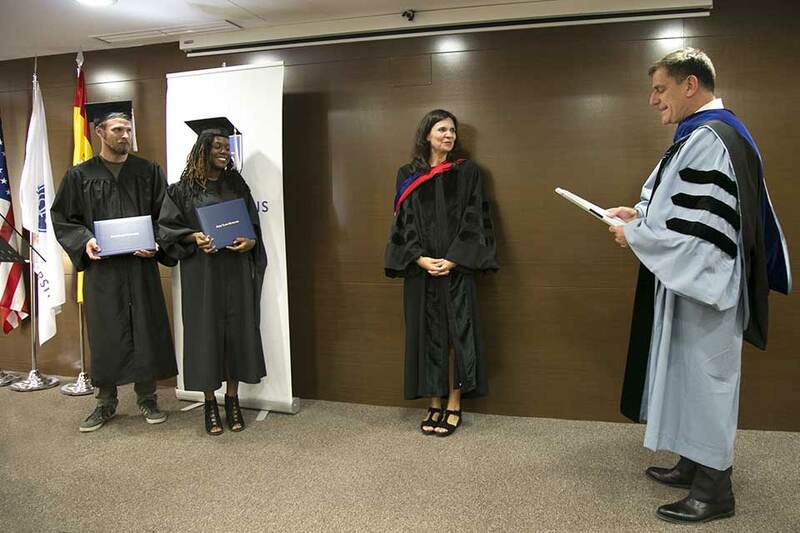 07/13- SLU-Madrid honors M.A. in Spanish graduates at an intimate, summer commencement ceremony. 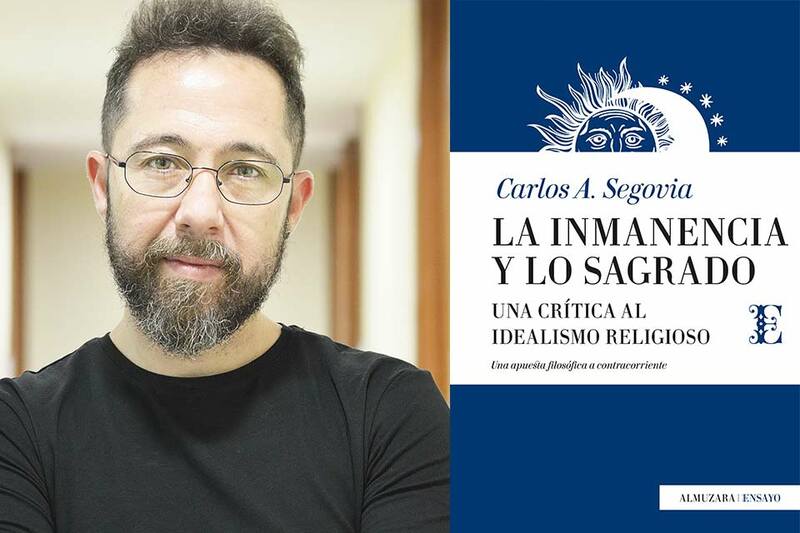 07/09- Professor Carlos Segovia's new book offers insights into one of the core problems of both the history of philosophy and the philosophy of religion. 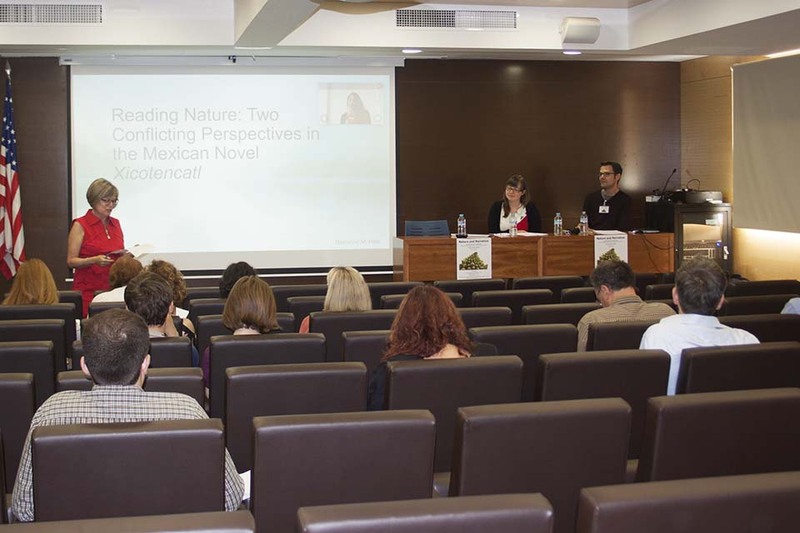 07/03- The English Department hosted the interdisciplinary conference, "Nature and Narrative," bringing together scholars from across the world to discuss the interconnectivity of story and environment. 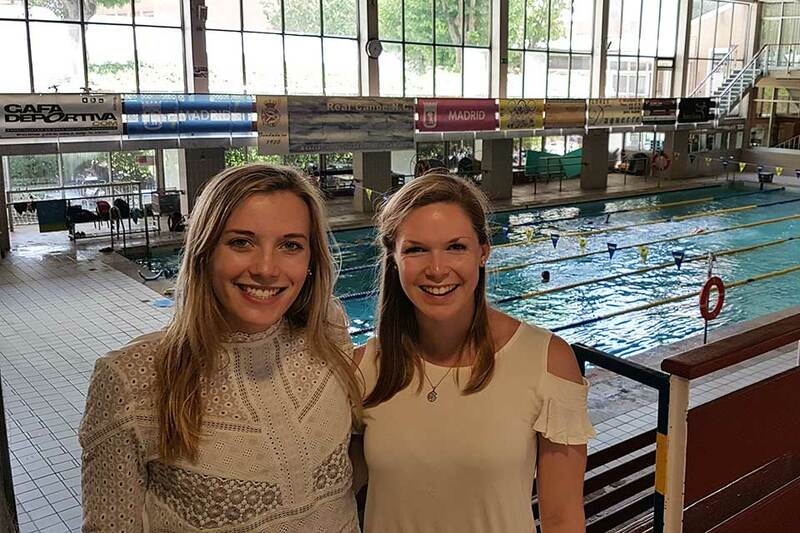 06/26- NCAA Division I swimmers Mary First and Olivia Wanasek study abroad at SLU-Madrid and train at one of Spain's top water sports training facilities, Real Canoe C. N.
06/21- Fernando Abilleira ('99, '01) is now working on yet another exciting project for NASA: the Mars Insight Mission. 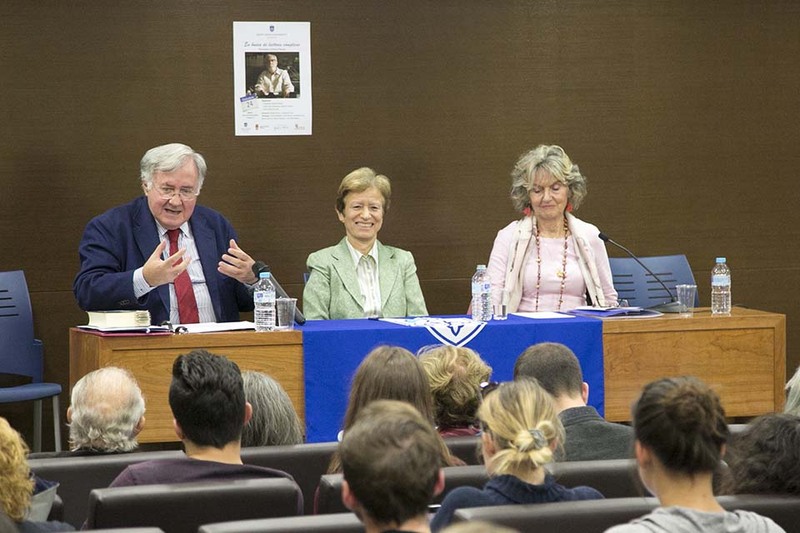 06/19- The Spanish Department organized an international literature Conference dedicated to the analysis of the life and works of the Spanish novelist, Antonio Ferres. 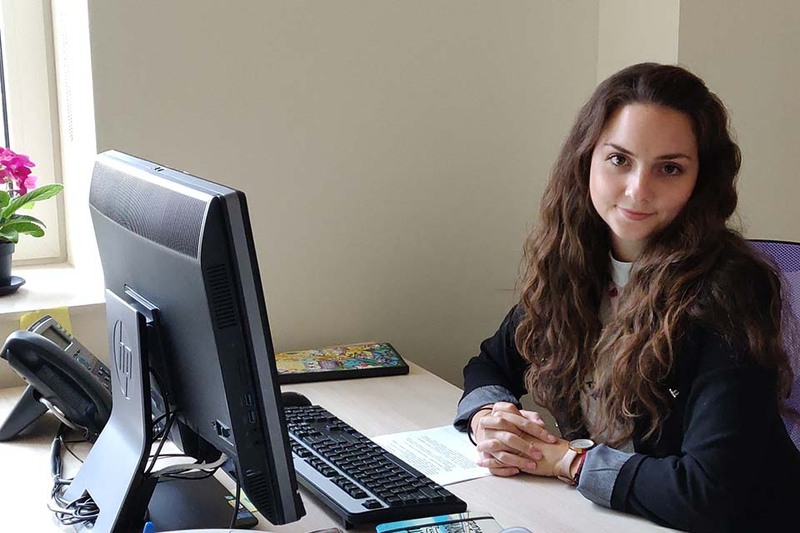 06/14- Originally from Belgium, Paola Ntunzwenimana '16 (Communication) mastered a third language and learned to thrive in an international environment as a SLU-Madrid student. 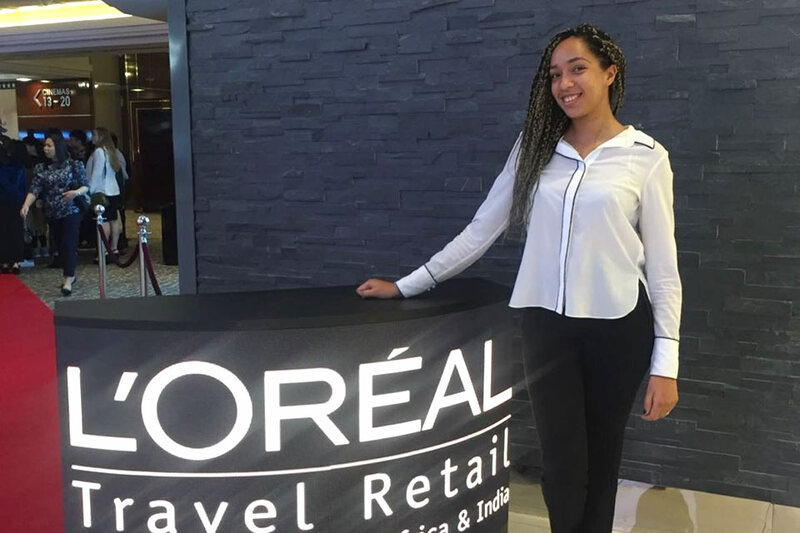 When she received the phone call from L'Oreal Middle East offering her a marketing position in Dubai, she felt well equipped to relocate to a new continent and take on a demanding position. 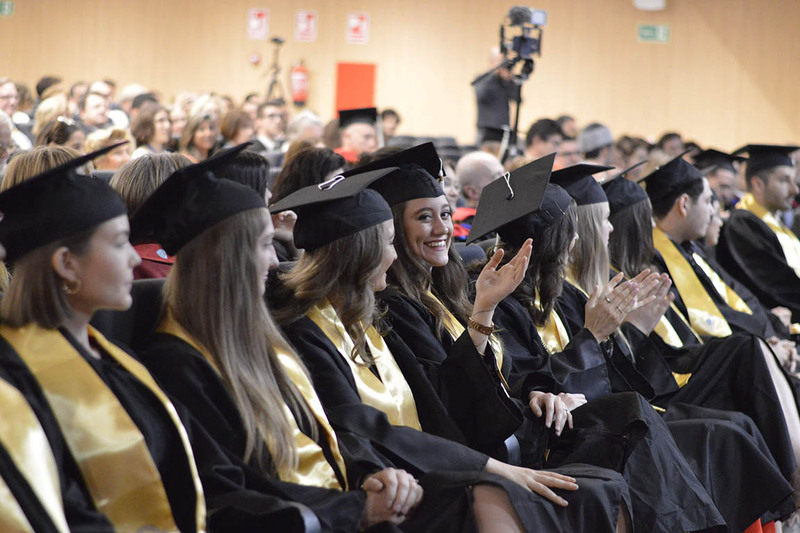 06/08- Friends, family and the SLU-Madrid community celebrated the 2018 Commencement Ceremony at an intimate and festive event. 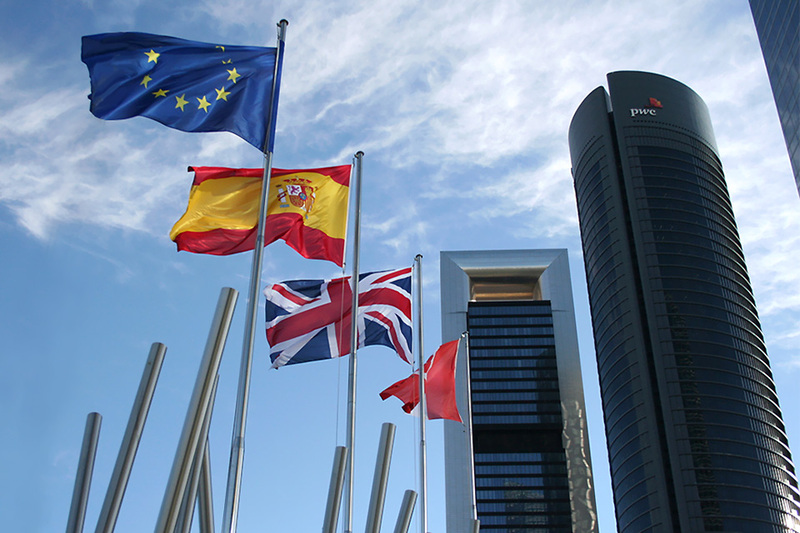 06/07- As a consulting intern in Global IFRS & Offering Services, Stefan Nassir de las Casas reviews financial statements, provides risk advisory and conducts research and analysis. 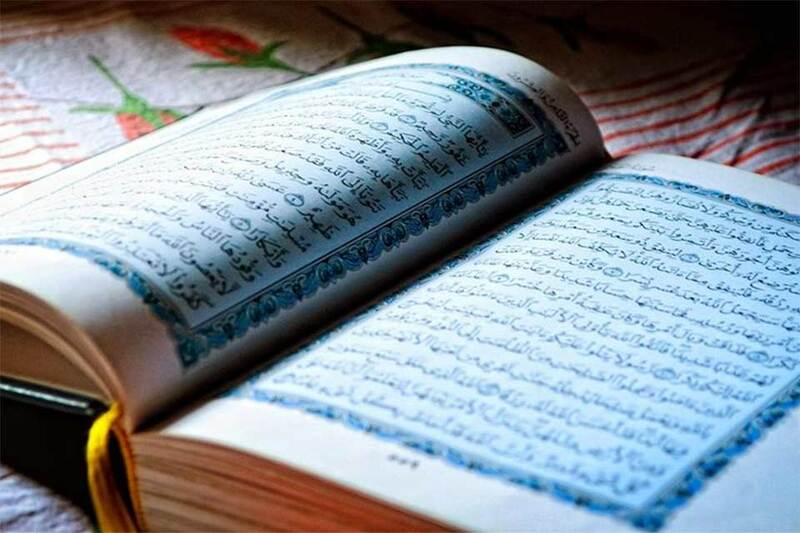 06/07- In his most recent book, The Quranic Jesus, Dr. Carlos Segovia offers a completely new interpretation of the figure of Jesus in the Qur'an.